Slowly things get back to normal at least for next few days. I started my Friday with Rise and Shine class and still I have to go back for my evening class but for now I just wanted to share with you one of the dishes that I ‘ve made for the Christmas Eve. One time I saw Mairlyn Smith preparing this meal in TV and I thought that this would be a great addition to our traditional dishes on the Christmas Eve dinner, especially because it’s vegetarian. Start by cooking quinoa according to the package instruction and let it cool. Heat the olive in a separate pan over medium heat; cook leek, mushrooms, onion, garlic, tofu, broth and spices for a while to get the flavour out. When you are ready to sever, add quinoa, pecans, parsley and sprinkle with pomegranate seeds for some extra crunch. It came out really good. And you know that it’s good-when all the meat eaters around the table are digging in. Pour together in a bowl. Spoon onto the baking paper or a pan. Cool in a fridge or a freezer. 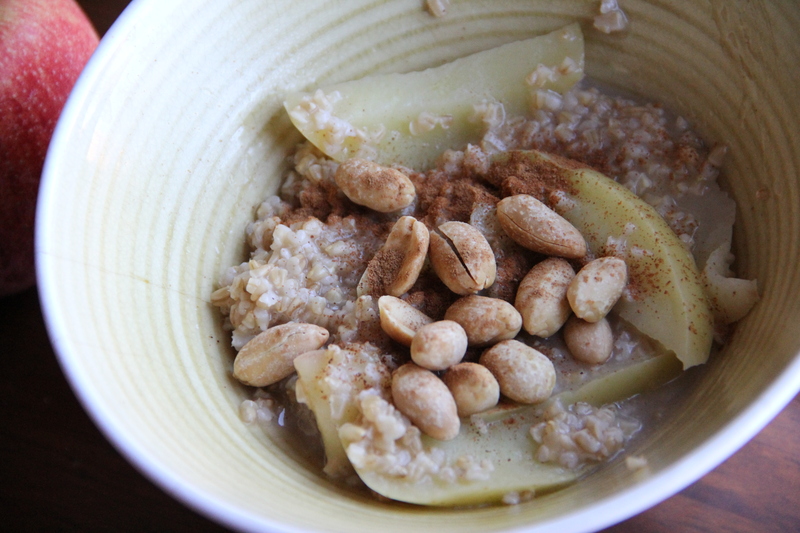 One of the thing that I really enjoy in this fall weather is a warm breakfast. And since apples are in season now (another staple food next to pumpkin) we eat lots of them here. Usually I prepare some variation of oats the night before without cooking them but on a rainy day steel-cut oats seems to be a better choice. I thought I will check in. How is your week going? Are you going to watch Euro 2012? What is your favorite team? Poland-Greece tomorrow at noon EST-don’t miss it. They are playing in my hometown (Wroclaw)!!! I was hesitating to eat Chia seeds for quite a while. I kept it on my shelf but I couldn’t find a way to add it to my food and avoid GI problems. My newest discovery is making a chia pudding. Not only it doesn’t bother my tummy but it cures my sweet cravings; perfect for an after workout snack. 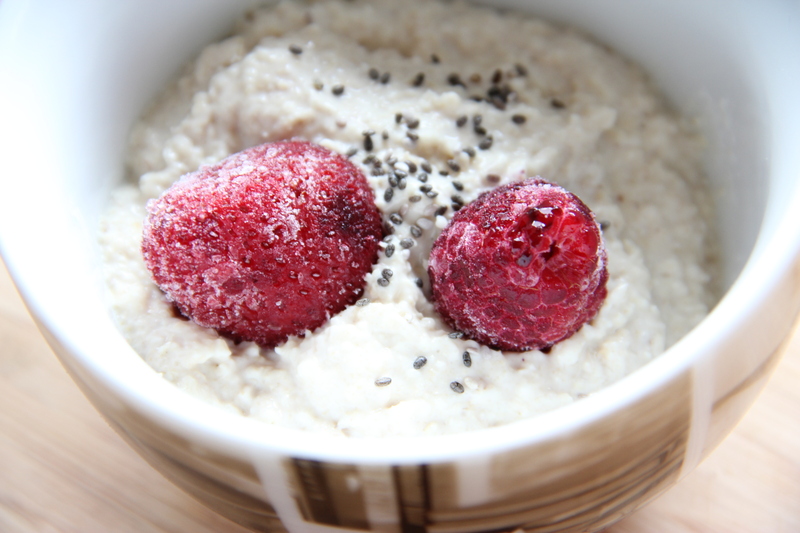 What are the health benefits of adding Chia seeds to your diet? So recently I started to eat (and enjoy) the Chia seed pudding as my breakfast, before workouts and as an after workout snack. The pudding keeps me full without the heavy feeling. Play with this recipe, there’s tons of variations you can make. Enjoy and have a Happy Long Weekend!!! Due to the large consumption of almond milk in this household (I know some of you have the same problem;) I thought about making my own. I held on to this idea for a long time. It scared me a little bit but actually it was easier than I thought it would be, and maybe I spent just half an hour doing it. You will need:1 cup of raw almonds soaked overnight and 4 glasses of water. You will get around 1100 ml of milk and 1 cup of almond pulp. In the morning rinse the almonds in cold water and (here is the fun part) peel the skin of. Apparently you can pour boiling water on them and leave them for 10 minutes to get rid of the skin faster but I just used my hands here. 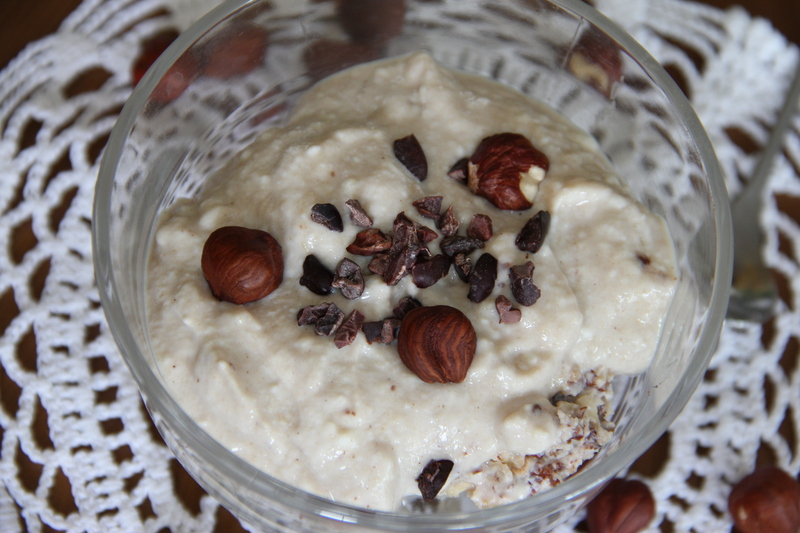 Then place almonds + 4 cups of cold water in a blender and mix it for a few minutes. The final step is to pour the milk slowly into your 1 liter bowl -throw a thin cloth and very carefully squeeze the entire contents out of the cloth. The almond pulp is great for other uses. You can add a few tablespoons of milk, some sweetener and you will get cream cheese for pancakes in the morning;) Keep the milk in the fridge for no more then 2-3 days, it gets sour after day 3. But is didn’t last that long. 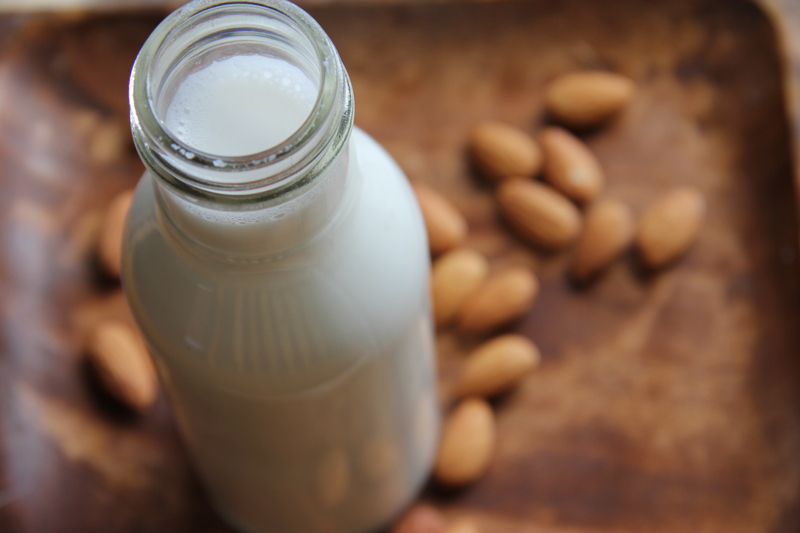 I am already thinking about adding some vanilla and cardamon next time to make a vanilla almond milk. I hope you guys have a fabulous weekend. I spent my Saturday as usually working for half a day and then catching up with shopping etc. Hopefully tomorrow I will have a chance to relax at my friends’ house. I feel drained physically and mentally; in some kind of crises right now. Maybe that’s why I have a hard time to be calm, organized, motivated and even to share some things with you; hopefully it will pass. But today I can finally share this recipe with you. I was waiting 2 days to actually make sure that the method works. Trying to live a healthy diet or eating mostly vegan can be challenging when you were raised on dairy. I am having such a hard time to avoid/limit my dairy intake not only because I simply like it but also it just helps with my GI problems. I found this recipe and I thought I will give it a try. I love my overnight oats in all versions but I have never thought about fermenting them and creating cultural bacterial on my own. It came out great so if you are fun of yogurts try this! 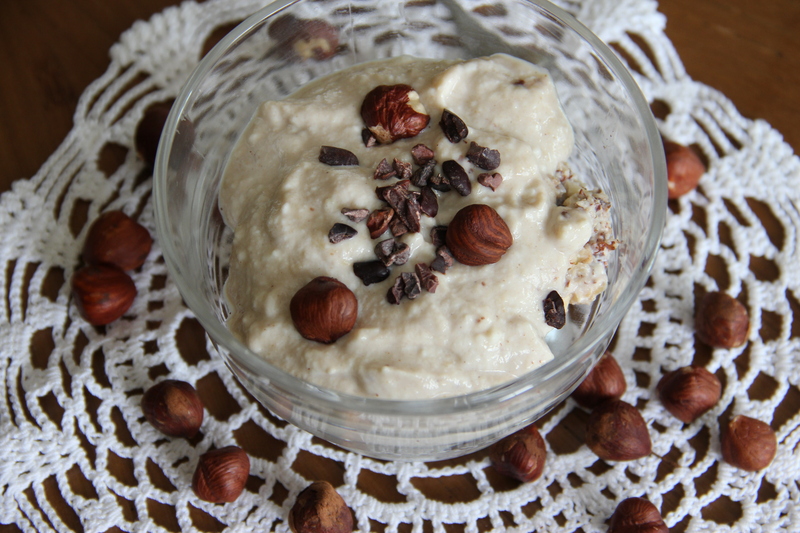 Oat yogurt can be done with raw or cooked oats. You can use any groats you like (rolled oats, steel cut ) but for the best nutrition start with raw unprocessed oat groats (gluten free if you have). 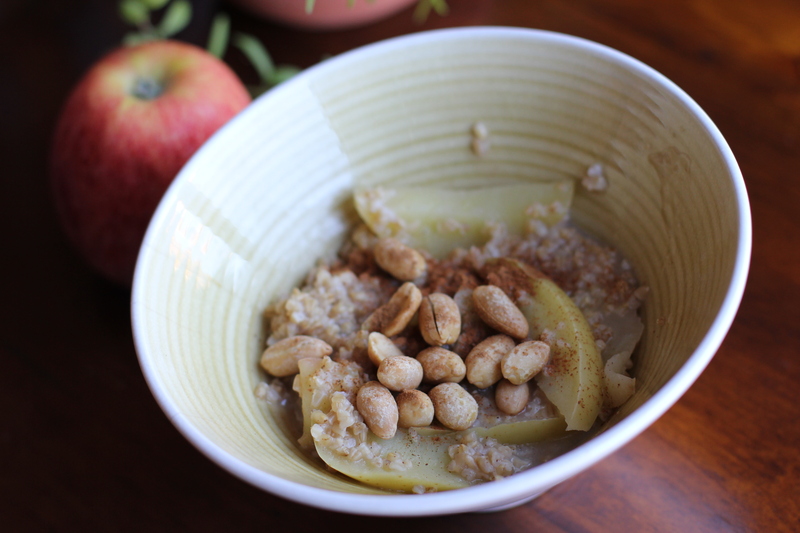 Place the oats in a ceramic bowl and cover with water overnight. The next day put it in a food processor and blend it until smooth. I can eat it already, delicious and smooth. Next step is to let them ferment. Use a ceramic bowl to avoid reaction between acids (produced during the fermentation) and metal container. Cover with the plate or cloth to keep dust away and not allow to dry. Choose a warm, sunny place and stir it from time to time. Try it once in a while and if it’s sufficiently acidic you can use is right away or place it in a fridge to stop the fermentation process. creamy because of the high fat content, so the result resembles milk yogurt or sour cream. If you make it thicker, and let it get more sour, it will be more like sour cream. These friendly micro-organisms called Lactobacilli are everywhere. Are linked with friendly bacteria that naturally live in your large intestine. They like starch and fiber and will reproduce well if we give them the medium of water, starch and fiber. Type of bacteria that grow will depend on what we feed them. Micro-organisms produce substances that suppress their rivals, so good Lactobacilli produce acids that fight fungi, yeast and bad bacteria. Eating fermented foods like in dairy yogurt, sauerkraut, kim chi, kefir, sourdough bread, etc helps promote the growth of the good bacteria that live in your colon, and reduces the growth of Candida and other problematic organisms. Now you can play with it and eat however you wish. 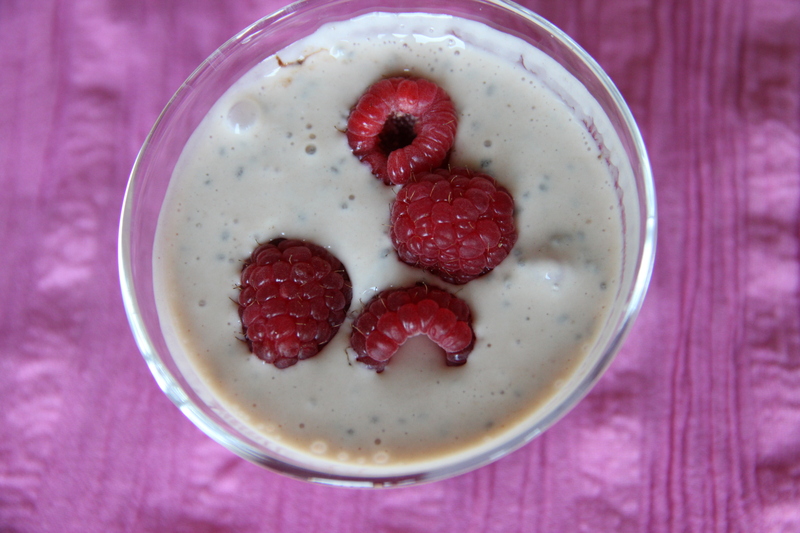 I added chia seeds and frozen raspberries first. But I imagine you can add any sweeteners, nuts, chocolate chips even protein powders or add it to your shakes and Enjoy! Let me now how you like it.